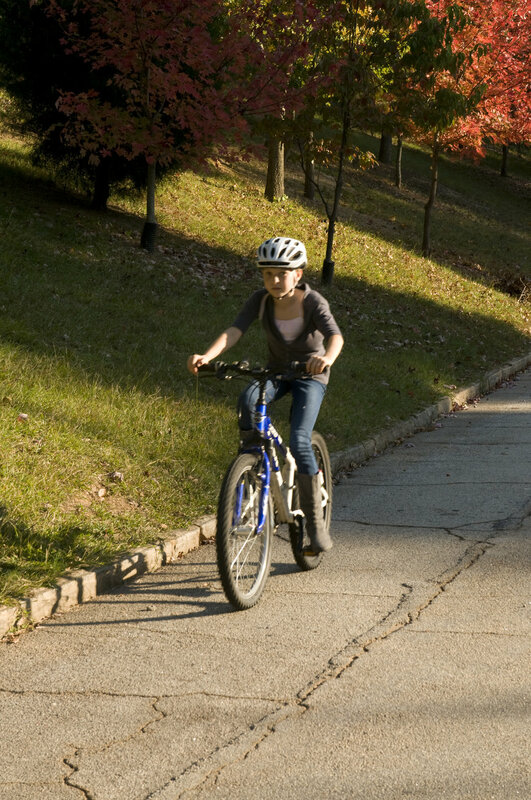 This image depicts a young girl who was riding her bicycle on a bright Georgian afternoon. She's been equipped with an aerodynamic safety helmet, and wore snug-fitting pants, which are both a must in order to afford appropriate protection for any bike rider form head injury, and from the elements, respectively. However, bright-colored clothing would also have been appropriate, for it would have made this girl more visible to oncoming traffic.